The idea of a uniquely Australian play doll was sparked when Helen Schofield couldn’t find any high quality dolls for her own granddaughters. She searched stores and websites but couldn’t find an age appropriate doll which was reasonably priced or locally available. At the same time Helen was concerned about the negative impact of popular culture on young children. These two things were her inspiration and motivation to create something new and special. With the help and encouragement of family and friends, she created this range of dolls especially for Australian children and children Worldwide. In 2017 after 10 years of progress and development, Australian Girl™ found a new home with Lynda Bloxham in Melbourne. Lynda was selling the dolls in her retail toy store for around 8 years and was so passionate about them that she bought the brand. Today at Australian Girl™, we continue in our quest to make quality play based products which can help children learn to nurture and grow. We encourage girls to be empowered and strive to achieve their best through our chapter books and stories of our doll characters. 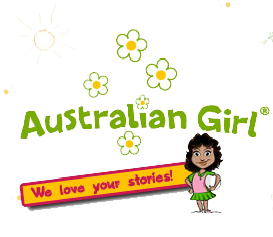 Our range of dolls represent Australian girls, some are extroverted and others a little shy but they can all be strong, adventurous, confident, kind and loyal. We hope an Australian Girl™ doll can bring a little bit of happiness to your family. Here Helen consults with Perth Artist Samantha Auert who created the first drawings of Australian Girl™. They used pictures of their own daughters’ faces to help them find that special look. A 3D modeler was engaged who created the graphics of a full body from every angle. The Sculptor was then able to see clearly what was wanted and created a magnificent sculpt. From this the molds were made for mass production. The higher cost option of a partial soft torso was chosen to enable a good look when clothing such as sun dresses are worn at the same time keeping a huggable feel. Every doll comes with a pair of specially designed Australian Girl™ thong sandals. The dolls’ feet have been uniquely designed to wear them. The high quality kankelon hair is also used for human wigs. Australian Girl™ has produced a brush especially for use with Australian Girl™ dolls. (‘Evil’) Velcro has been kept to a minimum on the dolls’ clothing to protect the hair from catching. Studs have been carefully and firmly sewn into the garments which have been designed to go on and come off easily. Finding the best manufacturer was a challenge. This involved a search for many months to discover the world’s best. And yes, the best was found, in China, where 70% of the world’s dolls are made. There was no viable manufacturer in Australia. Helen and members of the Australian Girl™ team have visited this specialist factory in China on a number of occasions and inspected the plant and facilities which are clean and bright. The factory meets international manufacturing and labor standards. The staff has good conditions, above average wages as well as full board and medical care, recreational facilities and 9 weeks holiday a year with 3 consecutive weeks holiday at Chinese New Year. They work 48 hours a week with long enough lunch breaks to take a nap! There are no children working at the factory. Great care and attention to detail is undertaken in the design and manufacture of the dolls and their accessories. Every product is tested by an independent laboratory and complies with Australian Toy and Safety regulations. Thorough quality control checks and formal inspection is undertaken before any products leave the factory. Jason Chatfield, renowned Ginger Meggs cartoonist, created our illustrations in the Rainbow Necklace series of Australian Girl adventure story books. Check out some of the cartoon strips in the ‘Our Dolls’ section of our website.